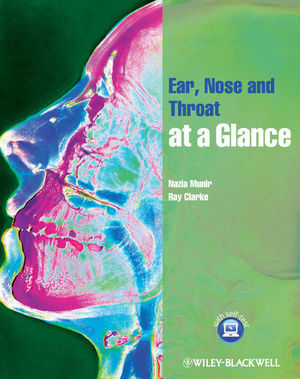 Ear, Nose and Throat at a Glance provides a highly-illustrated, accessible introduction to this practical but complex topic, which is increasingly encountered in every-day outpatient settings, as well as surgical departments. Each double-page spread diagrammatically summarises the basic science relating to each anatomical area, outlines practical guidelines on the examination of patients, and provides an overview of the most common disorders and diseases. Ear, Nose and Throat at a Glance is the ideal companion for anyone about to start the ENT attachment, or ‘special senses’ rotation, and will appeal to medical students and junior doctors, as well as nurses, audiologists and other health professionals.